Today Graebert released a free plug-in called OnlineMaps for the free version of DraftSight, the 2D AutoCAD clone that they created for Dassault Systemes. The plug-in sits inside the DraftSight user interface as a new menu item. Clicking the menu item pops up a window where you can search for an address. 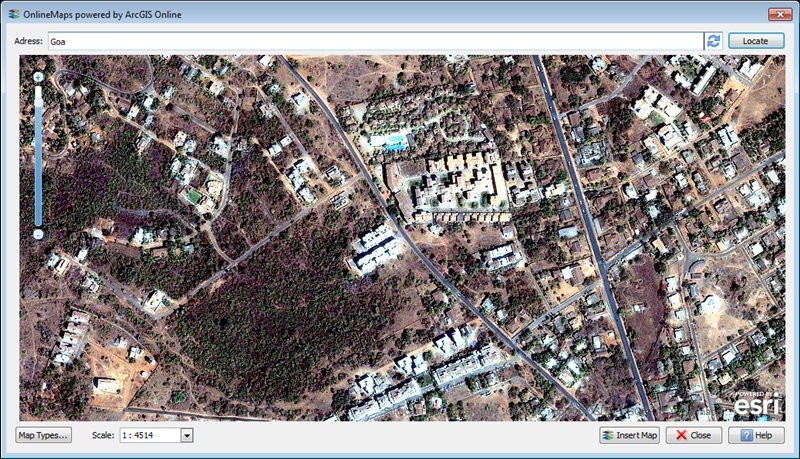 I searched for “Goa” and zoomed to the 3D Systems office in Porvorim. If your drawing doesn’t have a coordinate system defined, you are asked to pick one. 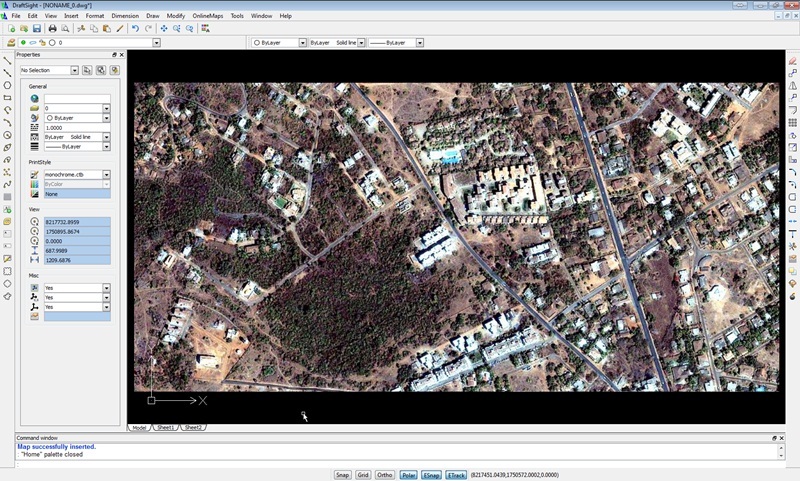 OnlineMaps is a free plug-in. However, you need to activate it just like you need to activate DraftSight. Before you can insert the map into the drawing you will be asked to activate OnlineMaps if not already done so. Activation needs a Graebert account. After activation the plugin inserts the map into the current drawing as a 2D image.